Winter in the Northern Plains is associated with freezing temperatures and formation of different types of fog. 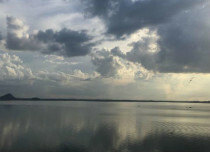 Mercury dropping at a faster pace gives birth to a thick white cloud that forms close to the land or sea, more commonly known as fog, which is a frequent and common phenomenon during winters. 1. Shallow fog- This kind of intensity of fog is a regular affair with visibility oscillating between 500 m and 1000 m. It occurs due to low temperatures altogether with pollutants taking over the region. 2. Moderate fog- This intensity of fog is common for those prominent cities which are more prone to high level of pollution. Here, visibility ranges between 200 m to 500 m.
3. Dense fog- Visibility during dense fog stays between 50 m and 200 m.
4. Very dense fog- This intensity of fog requires certain set of meteorological conditions to form, particularly when the area of operation is large. 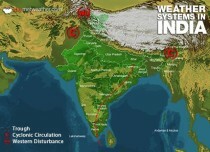 Visibility drops to almost nil remaining less than 50 m.
If we talk in detail, when passage of a Western Disturbance affects the plains of the country on a large scale thereby causing fairly widespread rains and thundershower activities, followed by a clear night, chances of dense to very dense fog occur. Moreover, after passage of a significant system, temperatures drop continuously one after the other carrying cold air with them. Further, if a clear night occurs, condition becomes absolutely ideal for fog formation. 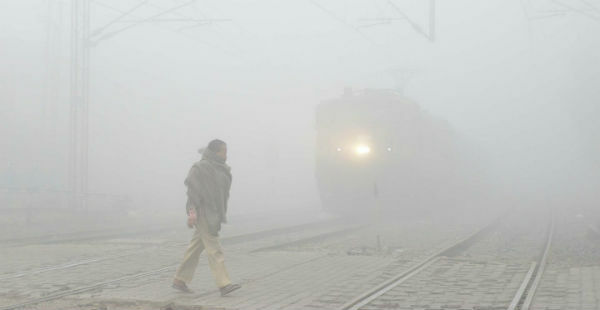 This intensity of fog also hinders rail, road and aircraft operations. 1. Moisture content in the air. Thus, if these conditions occur, they don’t spare even a single pocket from experiencing the blanket of dense to very dense fog. In the recent past, northern parts of the country such as Punjab,Haryana, Uttar Pradesh, North Rajasthan as well as Delhi were reeling under Cold Wave conditions due to extreme low temperatures. The temperatures even reached sub-zero degree Celsius which is not a common affair over northern plains. However, even with all such wintry conditions, northern plains of country have been still waiting to experience the layer of dense to very dense fog. 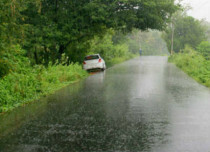 If we talk about India's capital territory 'Delhi', it recently experienced rains on January 5 after a prolonged gap of 25 days. Meanwhile, rains remained on and off for other parts of Northern Plains. However, intensity of these rains remaining mild, it did not pave way for the formation of dense to very dense fog over the region. Moreover, these rains have been recorded in lower single digits. 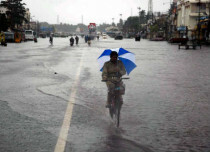 For example, only 4 mm of rain has been recorded over Delhi. 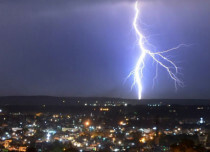 Further, in the absence of significant lightning or thundershower activities, which induce temperatures to go down even more and thus cooling, chances of dense to very dense fog formation over entire northern plains have remained less. At present, isolated pockets of Delhi NCR including Palam airport have been experiencing dense to very dense fog, as these areas are more prone to air pollutants. However, other parts are witnessing only moderate fog. Usually, after the passage of the Western Disturbance, a blanket of dense fog covers Indo -Gangetic plains including Delhi. 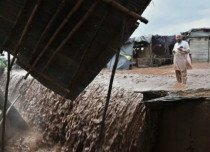 However, this scenario has not been witnessed this year and we do not expect such situation in near future too. Thus, looking at present scenario, we can say that only some parts of the plains of North India will experience such extreme conditions. However, chances of experiencing a complete blanket of dense to very dense fog have been completely ruled out.